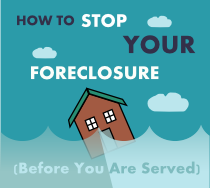 Foreclosure can usually be prevented depending on the situation. Here are 8 ways to keep it from happening. 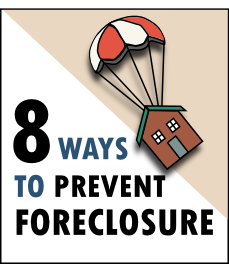 The best way to stop a foreclosure from happening is to be proactive. 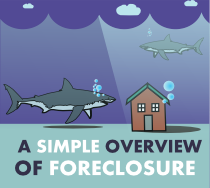 The greatest foreclosure defense is one that starts well before the first payment is even missed. Organization is important. In your Mortgage Information Binder you can keep your original mortgage and promissory note at the front of the folder. Use separators to keep track each month from the time the loan began. Part 2 – This is where your property tax information should go. Any records of payments will go here. Part 3 – The property’s insurance information goes here as well as any payments you have made. Part 4 – Month by month keep the mortgage statements here with a record proving the payment made attached to it. Payment records can be copies of checks or bank statements showing the when and where the money was withdrawn. Part 5 – Any time you have spoken to the lender or mortgage servicer should be recorded. Record the date and time of the conversation and include a brief summary as what was talked about. If you had an email or letter exchange, print it and keep it here. Part 1 - Income information goes here. Pay stubs with hours worked/income goes here. If you don't have them, highlight your bank statements where your paycheck was deposited. 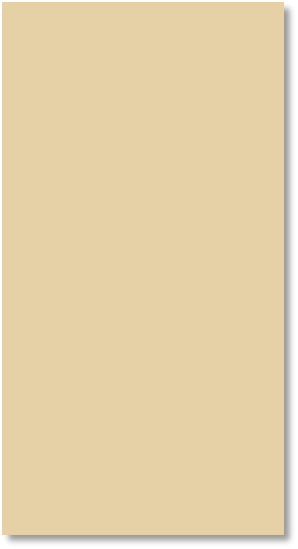 Make a place holder to keep track of when the trouble started. All income you make goes here. Part 2 - Keep your bank statements here. If you can go back a year before the loan was created that would be ideal. Part 3 - Tax returns go here. It's just a summary of what you have made each year. Part 4 - Calculate out your income per month verses how much money you pay a month for bills. How much do you have coming in compared to how much you have going out. Include your mortgage payment, insurance payments, car payments, other loan payments, entertainment, cell phone, food, speeding/parking tickets, and any other expenses you may have. This is important because you will need to find out what you are liable for if you start missing payments. You should be able to locate the cost of late charges and any other fees that may accrue from getting behind. Also look for the acceleration clause to find out what needs to happen for it to kick it. This is where the bank accelerates the loan to where you owe the entire amount immediately. We recently had a case where the bank was trying to foreclose on an elderly woman who’s recently deceased husband had taken out a reverse mortgage on their home. 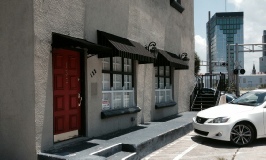 The lender’s foreclosure lawsuit surrounded the fact that she was not labeled as a borrower. A closer look at the paperwork showed that she was listed as a borrower. We had the case dismissed. Is there anything you can eliminate from your budget to make your mortgage payment affordable? If you are coming up short by two or three hundred dollars when trying to make your mortgage payments, you may be able to cut back on other things. Gym Memberships (Save $100.00+) - Some cost over $100.00 a month. You can replace this with outdoor workouts or purchasing cheap free weights to work out at home. Cable or Satellite TV (Save $100.00+) - Do you have a bundled package under contract? Find out how to break the contract or reduce to package to the least expensive possible. Most shows are available on Netflix if you have Internet access. If you are paying over $100 a month for cable, you are paying too much. Most Internet can be purchased for $40 a month. Tip: If you are looking to break contract without paying the early contract elimination fees, "move" to an area your cable provider does not service. Have the bills sent to your friends house. Cook Food at Home (Save $300-$600) - Paying $10 - $20 everyday adds up quickly. You can make quadruple the amount of food for the same amount of money by cooking it at home. Most recipes can be found online for free. The same goes for bringing your lunch to work. Cellphones (Save $100 - $200) - There are other cellphone plans that are half as much as the main carriers like AT&T or Verizon. The best thing is you can still keep your phone. Companies like Metro PCS and Cricket provide the same service by using the same towers of the major carriers. Virgin Mobile has a plan for the iPhone that cost $30 a month for unlimited text and data with 300 minutes. Also if you have a home line and a cell phone, eliminate the home line. Alcohol (Save $100+) - Don't let the bar be the reason you can't make your mortgage payment. With your financial binder at your side, you should be able to discuss your options with them. If you know you are not going to be able to make a payment on time, tell them about it right away. They usually are able to set up a forbearance agreement and repayment plan to get back on track. On such and such date you will agree to make a payment of X amount of dollars or have the payments spread out of a few months. There are a few options if you want to keep your home compared to if you want to get out from under it. Check your state laws first but here are a few options if you want to keep your home from foreclosure. Get a New Loan to Pay off the Original - If your credit is still good and you still have the same income look try to refinance your home. You may be able to find a better interest rate if you have equity in the home. Modify Your Current Loan - the lender may be able to reduce the current payments by dropping the interest rate. They may even allow late payments to be added to the rest of the mortgage. If you qualify for government programs like the Home Affordable Modification Program (HAMP) obtaining a loan modification should be a little easier. 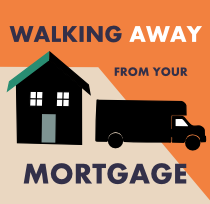 Work out a Forbearance Agreement - If you know you are going to come up short when you are making your mortgage payment talk to the bank first. Usually there is some sort of grace period before late fees start to accrue. If you need to delay payment for a month or two most banks will set up a forbearance agreement. 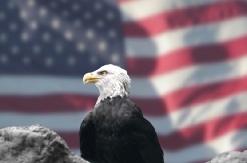 They agree not to foreclose as long as you agree to start making payments again by a certain date. 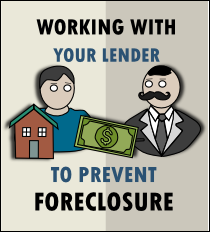 You mortgage payments will either be reduced or stopped during the forbearance. After the forbearance ends your payments will be larger for a certain period of time until you have made up what you missed. A common example where this would work well is if you lost your job but have another one lined up or if you were on non-paid medical leave. Establishing a Repayment Plan - This is what happens when you miss payments without telling the bank you were going to miss payments. A repayment plan agreement with the bank allows you to spread to payments over a certain period of time in order to catch up on your missed payments. If you missed a single $1000 payment you could make it up by paying $1200 a month for the next 5 months. Sometimes it is better to cut your losses and start fresh. There are some situations where keeping the home just is not possible. If you have equity in the home - When you know you can no longer continue making payments, contact a realtor to get it on the market. You can use the money when the home is sold to pay off the mortgage and keep what is left over. If owe more than what the home is worth (no equity) - You may be able to get the bank to agree to a short sale. This is where you find a buyer to purchase the home for less than what you owe on it. It really depends on how much money you owe the bank in comparison to the current market value of the home. The other option is doing a Deed in Lieu of Foreclosure. This is where you give the home to the bank in exchange for them nullifying the mortgage. 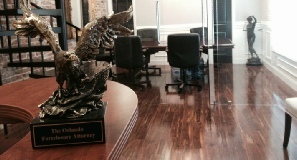 With either option you may be liable for the deficiency depending on the state you live in.